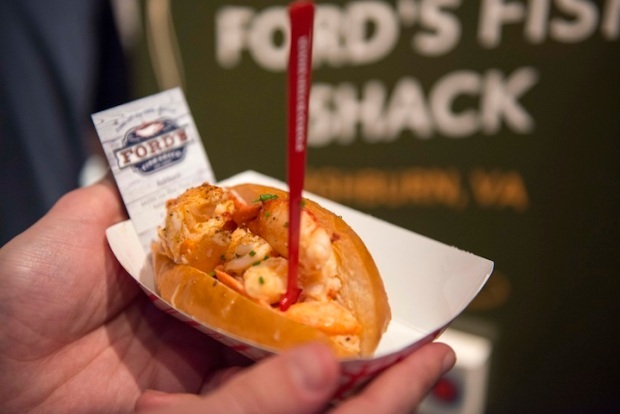 Lobster roll at Tasting Table's Lobster Roll Rumble event in New York City. The only way to describe what happened to my mouth last night was, lobstah-gasm! 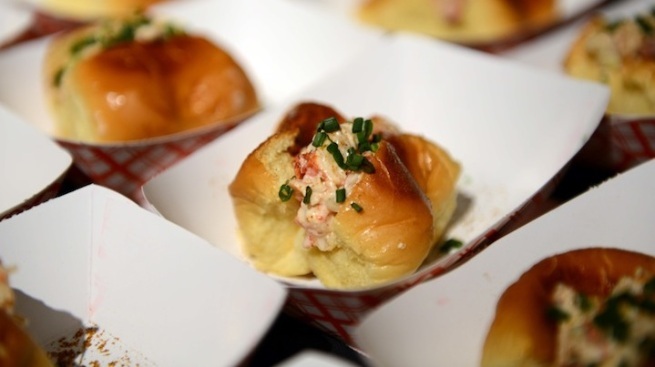 The Lobster Roll Rumble by Tasting Table was nothing short of magnificent. Flashbacks of my childhood, on the shores of New England came swirling back around. As I took my first few steps into the Metropolitan Pavilion, fumes of melted butter on toasted bread were like an aphrodisiac for the nostrils--my attention shifted immediately from people watching to finding the nearest lobster stand. Naturally I got a little too excited and over ate early on, but I managed to fit in the majority of samples offered at the Lobster Roll Rumble, 20 contenders to be exact. In my opinion, the best rolls were The Clam Shack, Waterbar and Ford’s Fish Shack. I’m always looking for the perfect combination of dressing and bread. If one or the other is off, you lose. Tasting Table didn’t leave a single detail out. The night was full of music, desserts and a variety of alcoholic beverages. This event is an absolute must. Still drooling.